Click below for Videos of Interviews with Hector! Maestro Hector Guzman is regarded as one of the most respected and admired conductors in this country and abroad. His recent appointment as music director of the Corpus Christi symphony orchestra in May, 2017 and his tenure as music director of the Plano Symphony, the Irving Symphony, the San Angelo Symphony, and as Conductor Emeritus of the Jalisco Philharmonic in Mexico, have placed him among the most important musical figures on the podium today. He has been a frequent guest conductor of an array of prestigious ensembles: Mexico: National Symphony, Mexico City Philharmonic, UNAM Philharmonic, Xalapa Symphony, Bellas Artes Chamber Orchestra, Vivaldi Orchestra of Mexico City, State of Mexico Symphony. United States: Dallas Symphony, San Antonio Symphony, Wheeling Symphony, Phoenix Symphony and the Chicago Sinfonietta. Dominican Republic: National Symphony. Czech Republic: Collegium Orchestra of Prague. Poland: Rszezow Philharmonic. Japan: Japan Philharmonic. South Korea: Masan Philharmonic, Gangsam Symphony. Italy: Amadeus Orchestra, Sinfonia Venetto, Milano Classica Orchestra, Bari Symphony, San Remo Symphony, Pomeriggi Musicale Orchestra of Milan. Spain: Sinfónica de Murcia, Joven Orquesta de la Comunidad de Madrid, Excelentia Orchestra. Panamá: National Symphony, among many others. In addition to a spectacular career as a conductor, he continues to enjoy international success as a concert organist, performing in venues such as the Meyerson Symphony Hall in Dallas, The Spivey Hall Distinguished Artist Series in Atlanta, The Olivet Nazarene recital series in Illinois, the cathedrals of Morelia, Guadalajara (Mexico) and Chartres (France) and the International Music Festivals in Toledo, Spain and Zamora, Mexico. 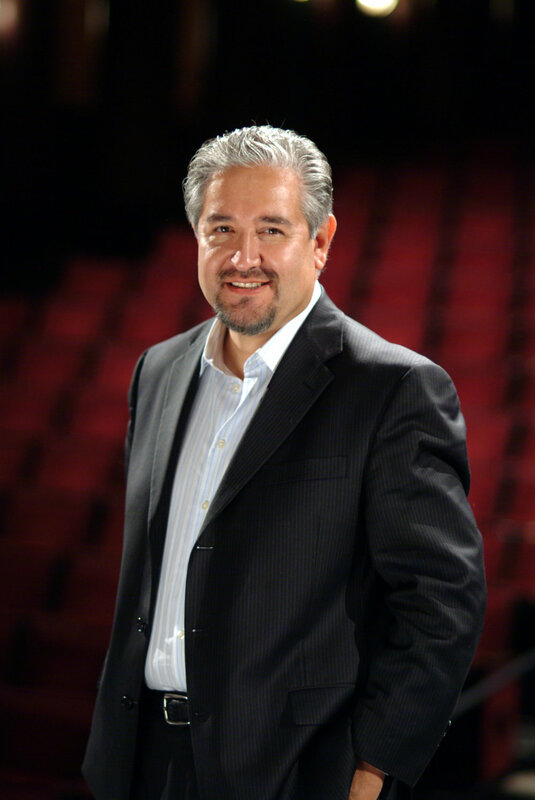 Maestro Guzman holds degrees from: The Conservatory of Music in Mexico City, the University of North Texas (BM) and Southern Methodist University (MM). His teachers include his mentor Anshel Brusilow, former concertmaster of the Philadelphia Orchestra and former music director of the Dallas Symphony, as well as internationally renowned conductors Helmuth Rilling (University of Oregon) and Carlo Maria Giulini (Accademia Chigiana in Siena, Italy). He was also a protégé of the late Maestro Eduardo Mata, music director of the Dallas Symphony. In his native Mexico, Hector Guzman achieved an impressive reputation as an organist, under Prof. Victor Urban, by taking first prize in the “Chamber Soloists” and the “Manuel M. Ponce” national organ competitions. In the United States, while a student of world famous master teachers Dr. Robert Anderson and Alfred Mouledous, he earned further distinction by winning solo competitions at Southern Methodist Competition, the University of North Texas and he was the first Latin-American ever chosen as a finalist in the “Grand Prix de Chartres”, the world’s most prestigious international organ competition celebrated in France. He is also the recipient of the “Mozart Medal”, Mexico’s highest musical honor, presented by the embassy of Austria and the Mozart Academy in Mexico City, as well as the 2012 “Lifetime achievement award” of North Texas and the 2014 Sigma Alpha Iota National Arts Associate award.